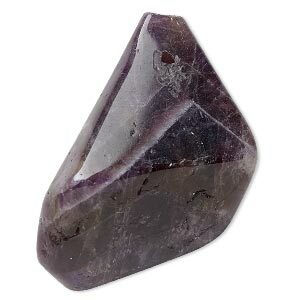 Focal, amethyst (dyed), 30x20mm-80x35mm top-drilled freeform, C grade, Mohs hardness 7. Sold individually. 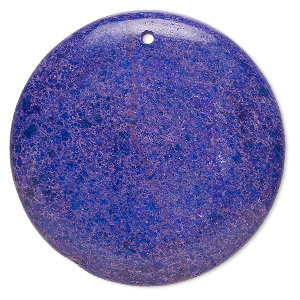 Item Number: H20-D8691CL Have a question about this item? 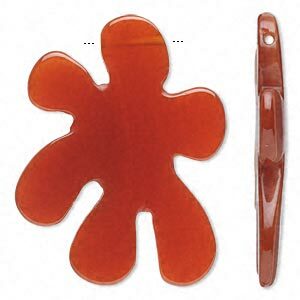 Focal, carnelian (dyed / heated), 40x30mm flat ink spot, B grade, Mohs hardness 6-1/2 to 7. Sold individually. 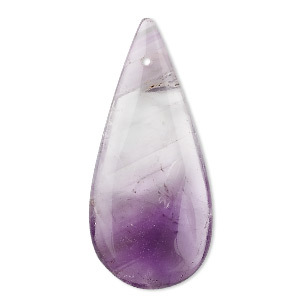 Focal, amethyst (natural), 46x20mm flat teardrop, C grade, Mohs hardness 7. Sold individually. 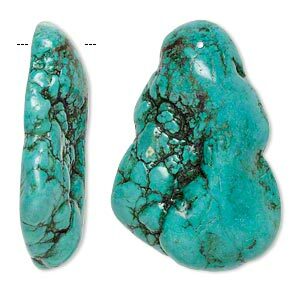 Focal, magnesite (dyed / stabilized), grape, 40-41mm round, C grade, Mohs hardness 3-1/2 to 4. Sold individually. 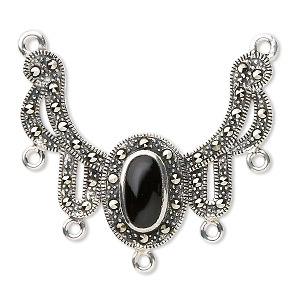 Focal, sterling silver and marcasite with black onyx (dyed), 36x30mm fancy design with 7 loops. Sold individually. 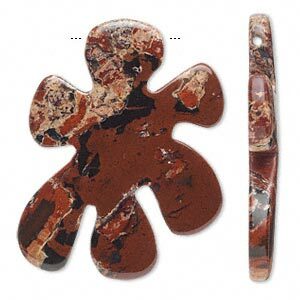 Focal, brecciated jasper (natural), 40x30mm flat ink spot, B grade, Mohs hardness 6-1/2 to 7. Sold individually. 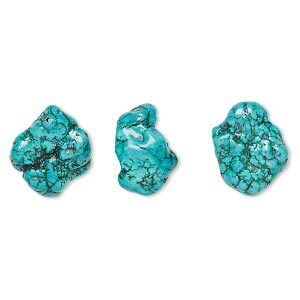 Focal, magnesite (dyed / stabilized), dark blue-green, 35x25mm-37x32mm top-drilled freeform, B grade, Mohs hardness 3-1/2 to 4. Sold per pkg of 3. 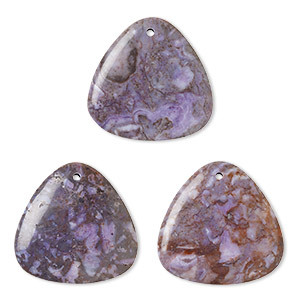 Focal, crazy lace agate (dyed), purple, 46x46x44mm single-sided flat-backed rounded triangle, B- grade, Mohs hardness 6-1/2 to 7. Sold individually. 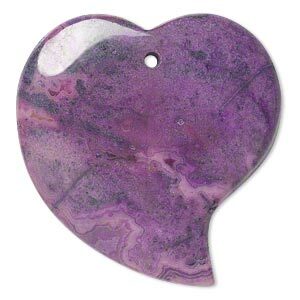 Focal, crazy lace agate (dyed), purple, 46x33mm single-sided flat-backed falling heart, B- grade, Mohs hardness 6-1/2 to 7. Sold individually. 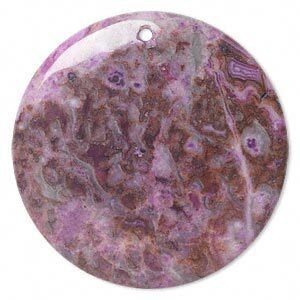 Focal, crazy lace agate (dyed), purple, 45mm top-drilled round, B- grade, Mohs hardness 6-1/2 to 7. Sold individually.